If you're searching for gift ideas, take a look at these beautiful Artisan Soap Products. Hand-crafted, lovely scented, nourishment to the skin, the list goes on for the benefits of these products. There are so many outstanding scents. 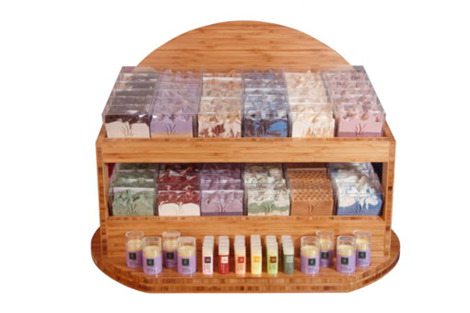 Candy Cane, Bourbon Vanilla, Chocolate Mint, Lavender Honey, Rainwood, and lots more! The lotions, cremes, scrubs, lip balm, and the other products are made with the best natural ingredients available!